I’m not very athletic, but I’m very good at jumping. Well, I used to be good at jumping, jumping rope that is! Do kids do this any more? I could even do double-Dutch, where two ropes were swung around alternately. I loved it, and I could say it was one of my favorite forms of fun (aka: kid exercise!). Perhaps I should take it up again! Add it to my “fitness plan.” It would do this body good! Lately, one of my worst habits is jumping to conclusions. Totally not cool. I will choose a side before I hear the full story, whether it’s a personal story or a news broadcast (which is why I have given up all things news, except for weather). When I read this morning scripture from YouVersion’s verse of the day, it occurred to me how this would benefit the world (and me in particular). What if I never jumped to conclusions again? What if I waited on God to lead and reveal what was really going on, what His deeper intentions really were? What if I only prayed for God’s will to be done, so He could fully work in circumstances and bring Light out of darkness and healing in His timing, not my own. What if we all cared more about people instead of their standings in the church, the community, or on social media? What if we wanted truth more than entertainment? 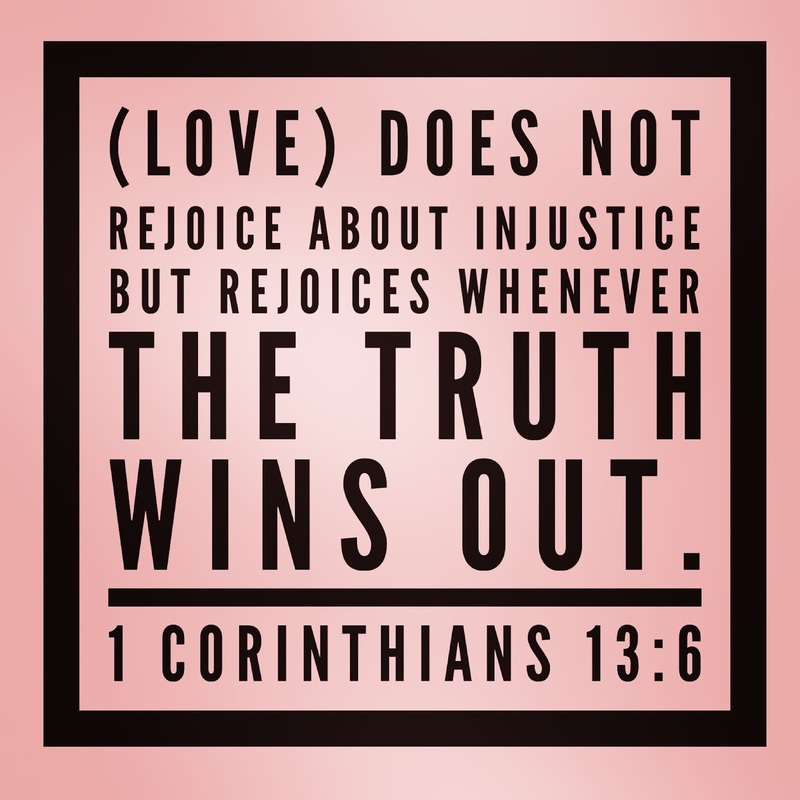 If “Love rejoices when the truth wins out,” then I want truth to win every time. Lord, bring truth to the surface in my life, my home and family, my neighborhood, our community, our state and region, our country and our world. 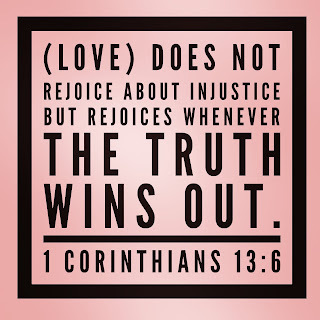 Change us by Your Truth being told, the HIStory of perfect Love, and teach us how to rejoice in this Truth, sharing the truth of Love around the world.